Andrew McCabe's 'The Threat': Trump Era Memoir By Ex-FBI Director Is A Dark Vision Former FBI Deputy Director Andrew McCabe said Thursday that top Justice Dept. officials discussed invoking the 25th Amendment. But his new book is about far more than that. Andrew McCabe, the former FBI deputy director who was fired in 2018, says that he personally took steps to "safeguard" the bureau's investigation of Russian interference in the 2016 presidential campaign, in case his own head would be the next to roll. 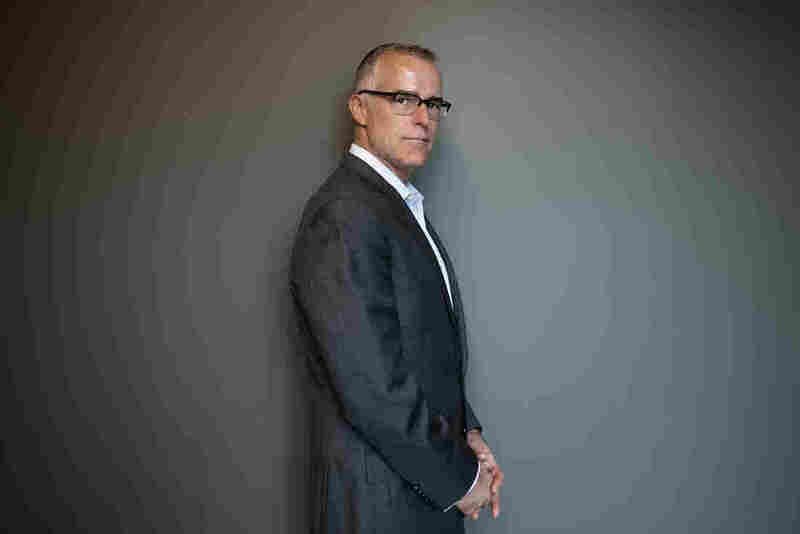 Andrew McCabe, the former acting director of the FBI, says President Trump's treatment of the bureau and its probe of Russian interference in the 2016 presidential campaign was so profoundly disturbing during the spring of 2017 that Justice Department officials discussed contacting Cabinet members to initiate Trump's removal from office under the 25th Amendment. That remarkable statement comes from the man who took over when Trump fired FBI Director James Comey in May 2017. But it is only the beginning of McCabe's revelations about the relationship between the nation's leading law enforcement agency and the 45th president. 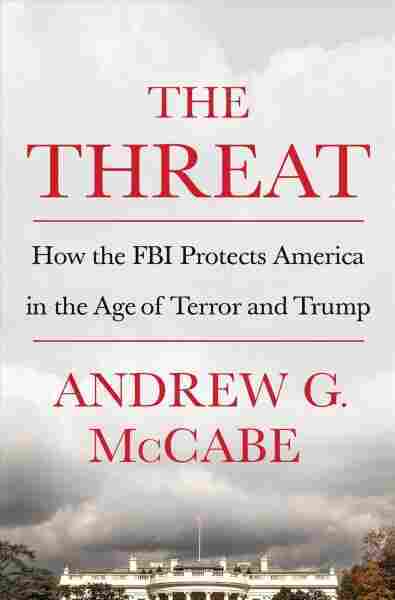 The tension in that relationship is palpable even in the title of McCabe's memoir, The Threat: How the FBI Protects America in the Age of Terror and Trump. The publication date is Feb. 19, but the most explosive assertions burst into the news Thursday when CBS aired portions of its upcoming interview with McCabe (set to air Sunday on 60 Minutes). That interview includes specific statements from McCabe regarding the 25th Amendment discussions and confirmation that Deputy Attorney General Rod Rosenstein once speculated about "wearing a wire" to record a conversation with Trump without the president's knowledge. Those specific statements from 60 Minutes do not appear in the memoir but have become the flashpoint for coverage of the book this week. And they fit with the extensive and detailed descriptions that McCabe does provide of the crisis atmosphere in the FBI and the larger Justice Department following Comey's firing. Rosenstein denied this version of the events of mid-May 2017 when they were first reported in the New York Times in September 2018. That Times story relied on unnamed sources. One source who spoke to the Times anonymously said he thought Rosenstein might have been sarcastic in making the remark about wearing a wire. Rosenstein said on the record in September 2018 that he had no such recollection, and his office issued a reiteration of that statement Thursday. McCabe is the first person associated with those conversations to confirm publicly the account as reported in the Times. But his book is about far more than that, as he remained at the FBI for another 10 months after Comey's departure and was in frequent conflict with the president. Having announced he would retire from the bureau in March 2018, McCabe was fired the day before he became eligible for full retirement benefits. The official reason for his firing was cited as "lack of candor." An FBI inspector general report had disputed McCabe's answers to four questions having to do with Hillary Clinton and the Clinton Foundation, although it isn't clear yet whether authorities will ultimately bring criminal charges against him. Trump's tweets added fuel to what was already a firestorm of reaction to McCabe's on-the-record account on Thursday. Sen. Lindsey Graham said he would bring McCabe before the Senate Judiciary Committee, which he chairs, to explain himself. Other allies of the president were similarly dismissive. But reading through McCabe's 262-page memoir suggests McCabe's critics may wish to proceed with caution. Any attempt to make him a pariah or impugn his integrity will need to deal with his extraordinary degree of preparation for what is about to come his way. Let us take a step back. When a book that is about to be published suddenly becomes the source and subject of a major news story about the president of the U.S., it has two effects on the fortunes of that book — one promotional and one perverse. The first is obvious. Having every print, broadcast and cable news operation suddenly featuring a first-time author and his story drives advance sales heavenward. But the perverse effect may be the more lasting. The nugget of news becomes the focus of all attention paid to the author and the work, usually to the detriment of both. We are seeing both effects here. All those who had forgotten McCabe over the past year or who had avoided hearing of him in the first place will now know he has a book that "everyone" is talking about. But getting people to read past the initial punch to the presidential nose may be daunting — for fans and detractors alike. McCabe begins his story with his love for the FBI, and he introduces himself by imagining what his own FD-302 would look like. The code refers to an official report on his own application to join the bureau in 1995, and he has to imagine it because the actual report is kept in FBI files and, he says, is unavailable to him. Later, after a chapter regarding his abrupt elevation to acting FBI director, McCabe returns to the chronology familiar to readers of memoirs — walking us through the relevant experiences of his early career with the bureau. Having a law degree and having worked as a lawyer, he finds himself investigating Russian organized crime figures in the 1990s. Later he recounts how the bureau's focus shifted after the attacks of Sept. 11, 2001, and how its resources were reallocated to that threat. But we have had more than a few books on these subjects, and McCabe eventually returns to the threat he clearly wants to alert the nation to now. He is also ready to defend himself against efforts to discredit his work at the FBI, including the suggestion that he conspired to harm the Trump campaign as a Democratic operative. Trump has made much of McCabe being married to a woman who ran for the state legislature in Virginia in 2015 as a Democrat. Jill McCabe's campaign received a contribution from Terry McAuliffe, who was then the state's Democratic governor. McAuliffe is a longtime friend and associate of Bill and Hillary Clinton. McCabe tells us he himself has been "a registered Republican" his entire adult life. McCabe would surely have uncomfortable moments in a hearing into his performance in office and his handling of all relevant parts of the Russia probe. But such a hearing before a Senate committee with a massive TV audience watching might also be uncomfortable for others involved. McCabe's portrait of the Trump administration and of the president himself is as alarming as any we have seen so far — including those of journalists such as Bob Woodward and former staff such as Cliff Sims. Trump appears as an insecure bully who rules by instilling and enforcing fear. McCabe calls Trump "a deliberate liar who will say whatever he pleases to get whatever he wants." If McCabe is to be allowed to repeat even a slice of it all before the bright lights of a televised Senate hearing, he will reach an even wider audience than publishing a book — or even 60 Minutes — could ever provide. A previous version of this story misspelled Lindsey Graham's first name as Lindsay.